Do you have a severely damaged roof that needs to be replaced? Whether it's due to a specific storm or just age and wear over many years, True Pro Quality Roofing, Inc. has some of the most skilled roof replacement specialists in the Dallas, Fort Worth area. Whether you simply need the roof repaired, or are in need of a full replacement, our specialists will work with you to ensure your complete satisfaction! Your roof is without a doubt the most important protection your home has against the elements of nature and age. A leaking roof can easily cause hundreds or thousands of dollars in damage if it isn't dealt with immediately. If your roof isn't properly equipped to deal with all that nature and time can inflict, you are risking serious damage to your home and belongings. While leaks are a common symptom that can be caused by a number of roof problems, they aren't the only sign of a damaged roof. If you notice that your heating and cooling bills are climbing higher, that may be a sign of a damaged roof. The roof keeps warm air in the winter and cool air in the summer. Damage to the roof might cause such fluctuations in your utility bills. 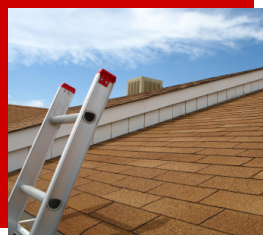 If you are seeing any of these signs, it may time for roof replacement. A good roof should last you for at least a decade, if not two. Unfortunately, many contractors aren’t as careful and in some cases roofs installed by inexperienced contractors can fail in as little as 5 years. If you have to get your roof replaced, you and your family deserve only the best in the residential roofing industry. You can count on the expert roofers at True Pro Quality Roofing, Inc. to replace your leaky or otherwise damaged roof with a high quality, long lasting roof. Roof replacement isn't a small investment, but it is often a necessary one to protect your home from the ravages of wind and rain damage. Keep in mind that a roof is a long-term investment. With proper care, your new roof can last a good 20-30 years or possibly even longer. 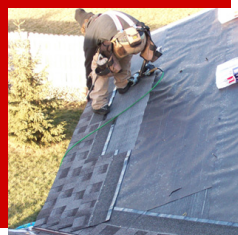 At True Pro Quality Roofing, Inc., we are committed to using only the very finest in roofing materials. Please tour our products page to learn all about the roofing materials we suggest. If you have any questions or we can assist you in any way, please contact us at 972-491-1830. For your convenience, you may request services from our website.